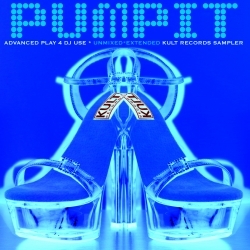 This is the follow up to the stellar PUMP IT compilation by KULT Records, and its a must have for any credible dj that plays this style of house music. This volume 2 is still a non mixed compilation and it showcases a bit darker vocals than the volume 1. Still packed with number one anthems such as "make it happen" by powerhouse Maya Azucena, the Dynamix produced "Stand up and be counted" with vocals by Aussie sensation Gilli Moon And the super tastee vocals of breathwaite on "Don't lie". Other honorable mentions are "The doobie track" by DYNAMIX's own Eddie Cumana and Craig Mitchell's "Noises" and last but not least the progressive power dub of "shake yourself loose" by Martin K.